Raise Solutions was built upon an idea of a closely knit team having a strong experience in the field of Supply Chain and logistic support along with Marine solution. Our core team an aggressive blend of experienced and young professionals with impeccable expertise to carry out any challenging task at any given time. Each member of our team is having vast experience in the field of Supply chain, Marine services and FMCG distribution. Raise having its own bonded warehouse at the center of the trade hub of Fujairah give us the advantage of prompt and hassle free storage and delivery. Raise team possess a decade of expertise in providing technical support for the machineries and parts. We possess the ability and reach to extend life-saving support in hazardous, remote and conflict areas. Raise solutions assist its clients in identifying and providing product options in pre and post engineering project stages. We are following an integrated solutions which helps us to keep a track on our day to day operations there by enhance our KPI and increase our output. We have implemented Key Performance Indicators Systems inside our team to review employee performance and analyze project performance. 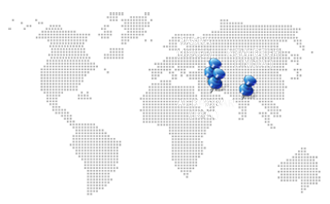 Raise is having a registered office in Fujairah with branches across Saudi Arabia, Iraq, Oman and India. Raise possess valid Import and export license giving us the opportunity to provide end to end supply solutions to our client in any part of the globe. Raise Solutions is a proud member of IMCA (International Marine Contractors Association) giving us an opportunity to provide an extended support to our client in marine services.